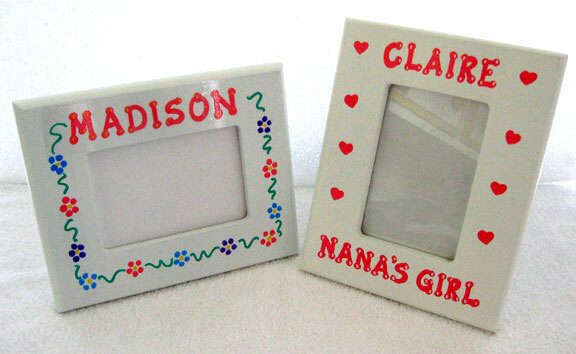 These white wood frames can be painted with flowers, hearts, happy bugs. sports balls, stars and moons, sailboats or possibly even a choice of your own. Just let us know. Add child's name and you have a perfect gift! Frame measures 9.5 inches by 7.5 inches with 4x6 photo opening.